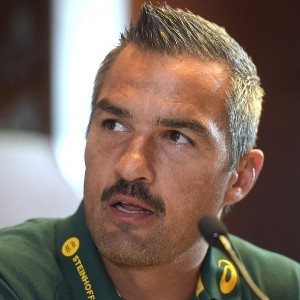 Cape Town - Blitzboks coach Neil Powell revealed that he will "definitely" offer his services to the Springbok XV if he is called upon to help. Springbok coach Allister Coetzee has been under-fire after making various records for the wrong reasons, which include the first ever defeat to Italy and the biggest margin of defeat ever against New Zealand (57-0). Under Coetzee's tutelage, the Boks have won 11 of 24 Tests - a 46% win-ratio. The Springboks are currently in Cardiff to take on the Wales on Saturday in their year-ending Test. Meanwhile in Dubai, Powell and his charges are gearing up for the opening leg of the HSBC World Rugby Sevens Series, which gets underway on Friday. Powell admitted that although he would help the Springboks, he is committed to the Blitzboks until 2020. "There are a lot of discussions taking place at this stage regarding Springbok XVs," Powell said, as quoted by Dubai's The National website. "Everybody has been asking, 'Will Allister stay, or will he go?' I think there will be a lot of movement, and if they ask me to go and help the XVs side, I definitely will do it. "As it stands now, I still have a contract with Springbok Sevens until 2020. Whether it be with XVs or sevens, the important thing is just try to make South African rugby better. "If I can contribute in any way to do that, I will gladly do it."